My Father's House is all about growth. The homeless families who come to our shelter participate in life changing educational classes, case management and accountability. We give our residents a hand up not a hand out. We also provide childcare while parents work on their job and housing needs as well as during class time and case management meetings. 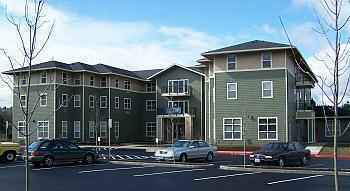 We have housing for 28 families in our shelter program (140 beds) and 13 families (65 beds) in our transitional housing program we call Stepping Stones. All families are required to save for the future and attend all classes. All gifts go toward the operation of My Father's House unless otherwise specified. Blessed to give. Blessed to receive.